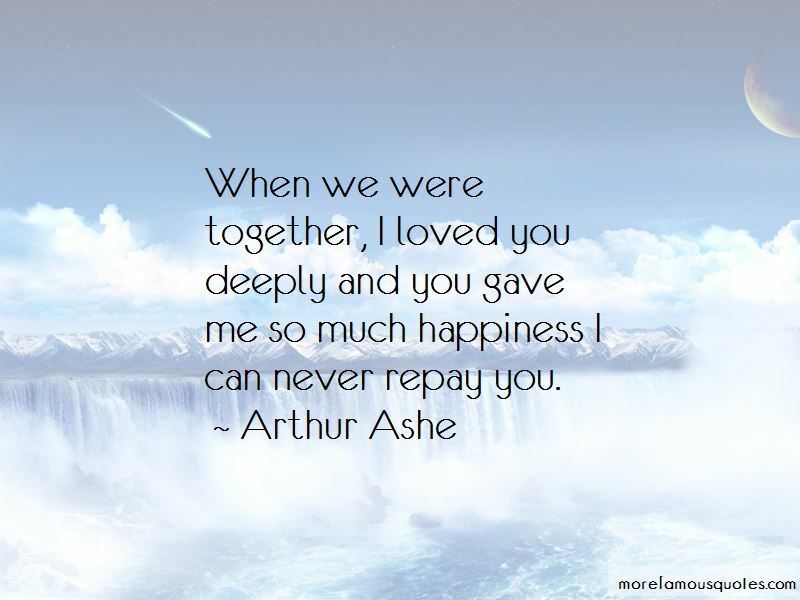 Enjoy the top 67 famous quotes, sayings and quotations by Arthur Ashe. I have become convinced that we blacks spend too much time on the playing field and too little time in libraries. We blacks look for leadership in men and women of such youth and inexperience, as well as poverty of education and character, that it is no wonder that we sometimes seem rudderless ... We see basketball players and pop singers as possible role models, when nothing could be further, in most cases, from their capacities. You really are never playing an opponent. You are playing yourself. I spent many, many hours in ... libraries. Libraries became courts of last resort, as it were. There is a terrific apprehension among some people that blacks will take over the sport ... 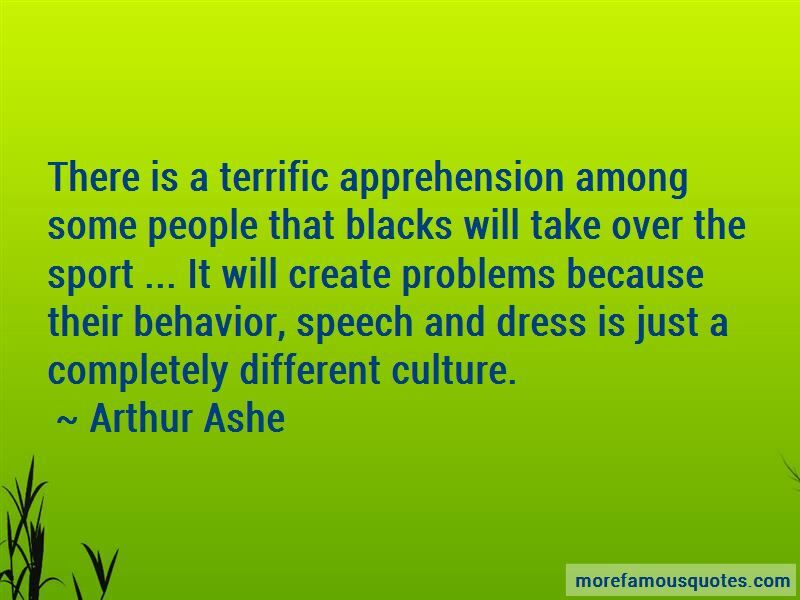 It will create problems because their behavior, speech and dress is just a completely different culture. It's an abnormal world I live in. I don't belong anywhere. It's like I'm floating down the middle. I'm never quite sure where I am. 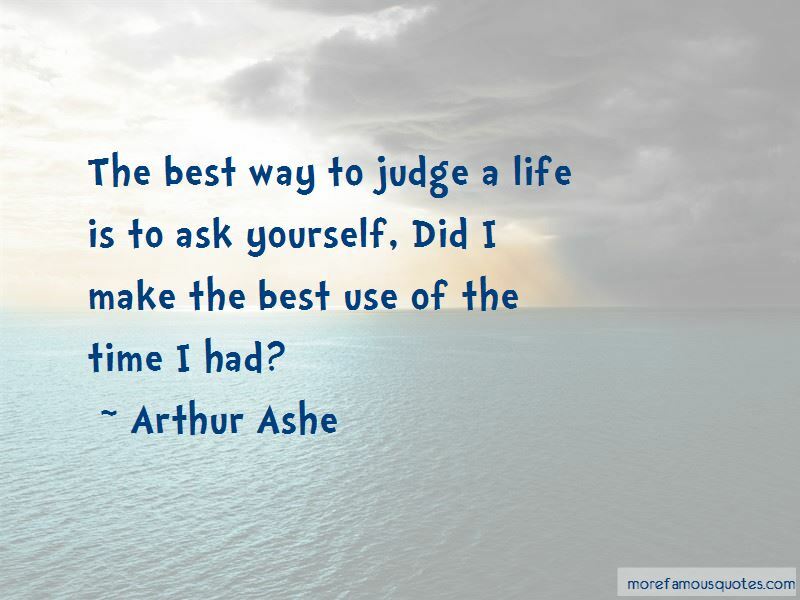 Want to see more pictures of Arthur Ashe quotes? 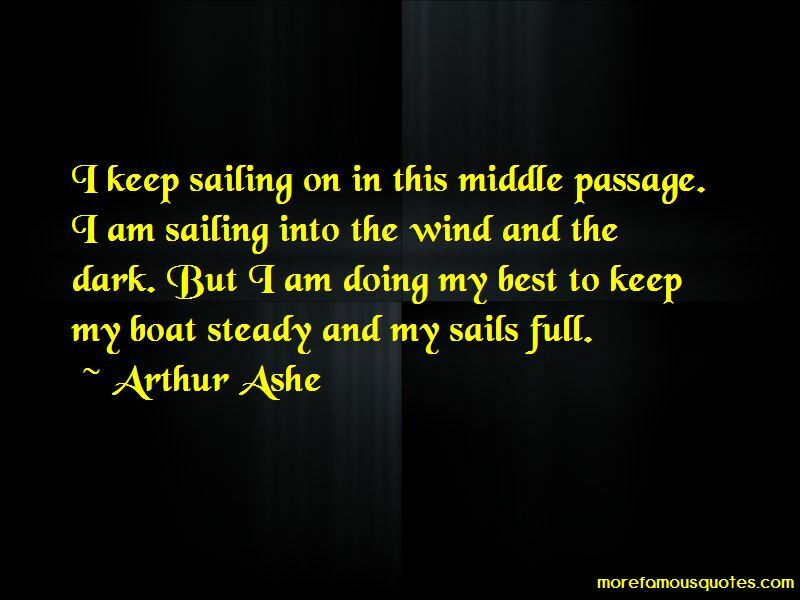 Click on image of Arthur Ashe quotes to view full size.